Opposite the Tian Tan Buddha statue is the Po Lin Monastery (寶蓮禪寺), one of the most beautiful and most important Buddhist sanctums in Hong Kong. Originally, three monks constructed it as a small temple in 1906. Initially, it was called Da Maopeng, but in 1924 it was renamed to its present name “Po Lin Monastery”, meaning “Precious Lotus Zen Temple”. The lotus flower is associated with purity in Buddhism. Most of the forefront buildings in the Po Lin Monastery are new while original temples are tucked behind the new one. The path through the Mountain Gate (San Men) will take you to the Hall of Skanda Bodhisattva, the Main Shrine Hall of Buddha (completed in 1970), and the Grand Hall of Ten Thousand Buddhas (completed in 2014). On the sides are the Bell Tower and the Drum Tower, the Hall of Ksitigarbha Bodhisattva, the Meditation Hall, the Dining Hall and the Sangha Hall. Monastery complex also includes an abbot’s chamber, a Scripture Library and other facilities for religious and ceremonial activities. In the monastery area, only vegetarian food and non-alcoholic drinks are allowed. Don’t miss specialties from the monastery’s Vegetarian Kitchen on the left of the Main Shrine Hall. Treat yourself with fresh and tasty dishes after exploration of the statue and monastery. Depending on how hungry you are, you can take a deluxe meal, general meal or grab a snack. Orders can be made at the Vegetarian Kitchen or at the entrance of the Big Buddha Statue. 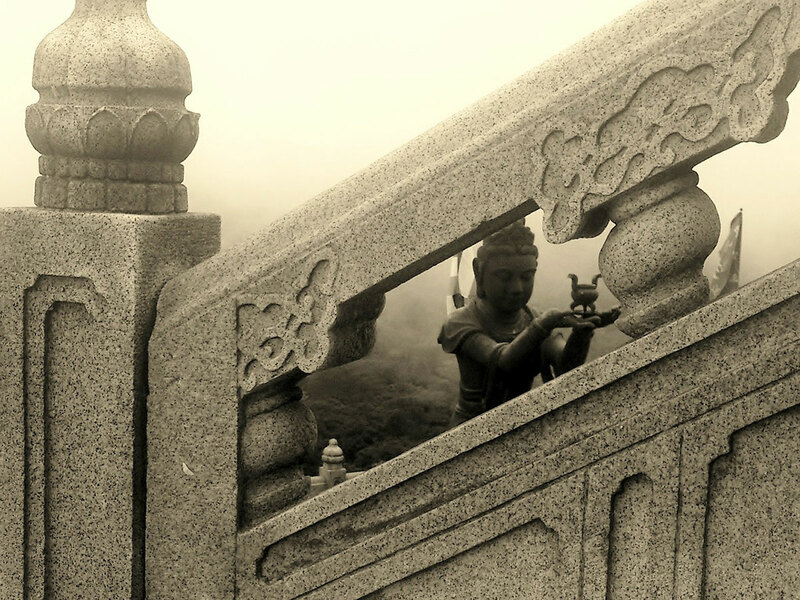 Not far from Po Lin Monastery is the Wisdom Path. This relaxing scenic walk will take you through the 38 wooden columns arranged in a ∞ figure, symbolizing infinity. It is a calligraphic showcase, with verses from the Heart Sutra, one of the most important Buddhist scriptures, engraved in every wooden column. The Heart Sutra is at the core and heart of the Buddha’s teachings and is recited by the majority of Buddhists around the world during the morning services and other occasions. 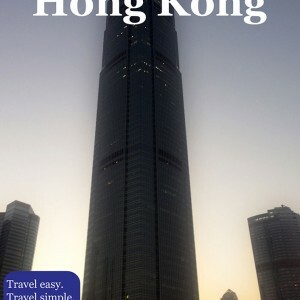 Click here to see how to get to the Ngong Ping and Po Lin Monastery. Metro: On Tung Chung metro line get off at the Tung Chung MTR station, Exit B. Take the Ngong Ping Cable Car or Bus #23 to the Ngong Ping.